The transportation of patients with air ambulance has been carried out since about 1930 in Norway. In 1924, the Red Cross launched the idea of transporting patients with airplanes. 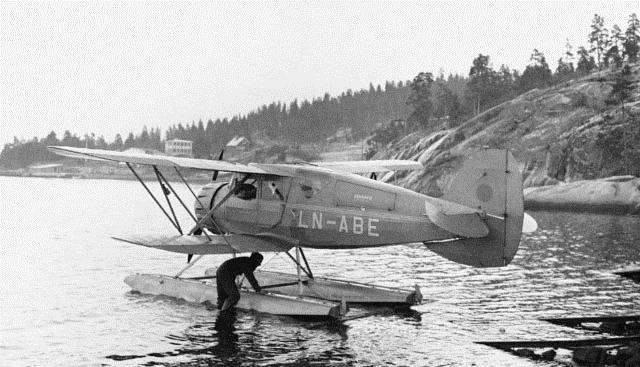 The first known transport was performed in 1932 with Viggo Widerøe as pilot. When the airline Widerøe was established in 1934 one of their purposes was to perform air ambulance transports. After WWII small civilian seaplanes performed these missions in the western and northern parts of Norway,later helicopters were also used. The Norwegian Air Force performed air ambulance missions with their Catalina-aircraft, some of these missions were far offshore. The concept of dedicated physician staffed air ambulance helicopters was introduced in 1978 by Doctor Jens Moe. A foundation, now known as the Norwegian Air Ambulance Foundation, was established to secure the financial aspects of the operation. Photo: The aircraft «Norseman» performed air ambulance missions after WWII. The national air ambulance service was established in 1988 under the leadership of Tove Strand Gerhardsen who at that time was the Minister of Social Affairs. Airlines won contracts with The National Insurance Administration to provide dedicated emergency care with specially equipped ambulance airplanes and helicopters (Statens Luftambulanse). The county hospitals provided healthcare personnel. Following the hospital reform in 2002 the responsibility for air ambulance services was transferred to the five (now four) Regional Health Authorities. 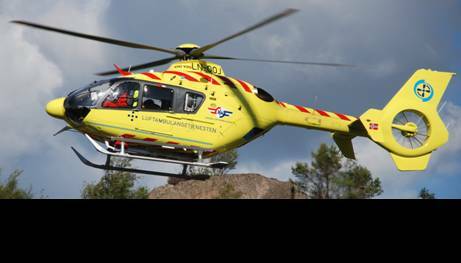 In 2004 they established a joint subsidiary, National Air Ambulance Services of Norway. The Regional Health Authorities pay all costs concerning air ambulance services and the administration is divided into two separate responsibilities. The National Air Ambulance Services of Norway is responsible for the flight operations nationwide and the Local Health Authorities are responsible for the medical side of the operation and providing doctors and nurses. The Head Office is situated in Bodø. Our medical technical division is in Trondheim and our Flight Coordination Center is in Tromsø. The aviation part of the National Air Ambulance Service is put out to tender. In 2018, two operators hold contracts to provide ambulance airplanes and helicopters (Norsk luftambulanse AS and Lufttransport AS). Nine ambulance airplanes are situated at seven locations throughout Norway (Kirkenes, Alta, Tromsø, Bodø, Brønnøysund, Ålesund and Gardermoen). Two bases, Alta and Gardemoen, have two aircraft. Ambulance helicopters are situated at twelve locations (Tromsø, Evenes, Brønnøysund, Trondheim, Ålesund, Førde, Bergen, Stavanger, Arendal, Ål, Lørenskog and Dombås) with thirteen helicopters in service. 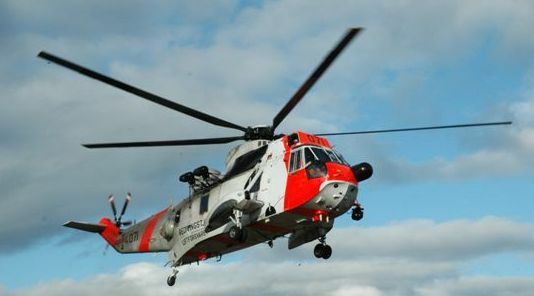 Lørenskog provides two helicopters. All air ambulance bases provide readiness 24 hours a day. The medical crew at helicopter bases has at their disposal a Rapid Response Car. This car is used for nearby emergencies or when the weather prevents using the helicopter. The Rapid Response cars are funded by the Norwegian Air Ambulance Foundation. The Ministry of Health and Care services has entered an agreement with The Ministry of Justice and Public Security which allows The National Air Ambulance Service to use Search and Rescue Helicopters for ambulance missions when they are available. This service is situated at six locations (Banak, Bodø, Ørland, Florø, Sola and Rygge) and all bases provide readiness 24 hours a day. Beech KingAir B200. Photo: Karl-Øystein Karlstad. 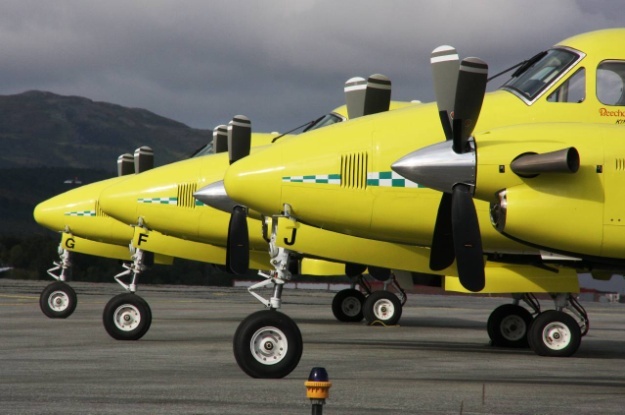 The yearly budget of the National Air Ambulance Services of Norway is close to one billion Norwegian kroner. In total there are 24 employees in the company. The two operators have about 200 employees working with air ambulance. Every year about 20 000 patients are assisted by the services. Almost half are transported by ambulance airplanes while a third are transported by ambulance helicopters. In total the airplanes and helicopters fly about 18 000 flight hours yearly. The remaining patients are assisted by the Search and Rescue Helicopters or Rapid Response cars. The public dials the emergency telephone number 113 when in need of emergency medical help. The Emergency Medicine Coordination Centre (EMCC) evaluates the need for ambulance or air ambulance. Once the EMCC has decided to use the air ambulance for patient transport they scramble the air ambulance base (for helicopters) or Flight Coordination Center (for airplanes) and relay relevant mission information. National Air Ambulance Services provide specialized emergency medicine and is an integrated part of the public emergency services. All helicopters are staffed with a pilot, one rescue crew/HEMS Crew Member and anesthesiologist/emergency doctor. The helicopters are equipped with advanced medical equipment andhave room to transport two stretcher patients. We use three different types of helicopters in the air ambulance services, the Agusta Westland 139 (based at Tromsø and Ålesund), the Eurocopter H145 or the H135 at the remaining bases. The main task for ambulance helicopters is to offer advanced emergency medical treatment outside the hospital and to transport the patients directly to the correct level of health care services. Sometimes it is difficult to land close to the patient, in these circumstances a static rope is used to lift the patient. The Air Ambulance Service cooperates closely with the Search and Rescue Service, and the ambulance helicopters are often used for simpler search- and rescue missions. The ambulance airplanes carry advanced medical equipment and are staffed with two pilots and one flight nurse. When needed, a doctor can accompany the patient on board. The ambulance airplane has the capability to transport two stretcher patients. The Beech King Air B200 is used by all seven bases in Norway. The ambulance airplanes are used to transport patients between hospitals and in the county of Finnmark the airplanes are also used to transport emergency patients directly to the appropriate level of healthcare. The Search and Rescue helicopters are coordinated by The Joint Rescue Coordination Centres (Bodø and Sola). The medical capacity is similar to the smaller ambulance helicopters.